What do you and your company do? 23andMe is about empowering people to learn about their own genetic information, and then enabling them to participate in crowdsourced research in order to find novel insights into disease, and hopefully one day find novel cures. My sisters and I didn’t have any specific aspirations. We were encouraged to have our own passions and follow those passions. As a child, I was always interested in DNA and molecular biology and how the body works. So, I’m lucky because I now have a job that allows me to be a scientist but in a business role, which really combines two things I love. Share the story of a business you started as a kid. How old were you and how did it do? What did you learn? We worked a lot when I was younger! When I was in first grade, my sisters and I used to take the lemons from our neighbor’s tree and sell them up and down the street. We felt like we were providing a real service—our neighbors didn’t need to pick their own lemons or go to the store to buy them. We would deliver fresh lemons door-to-door. After that, every year around the holidays we would try to figure out what we could make and sell. We came up with things like spice ropes and other festive holiday decorations. When we were old enough, we got jobs. I babysat, worked in a luggage store, and worked in restaurants. I think it was great to get exposure to how different businesses work. What advice would you give to your elementary school self? Indulge in the creativity that comes with childhood. If there’s something that seems really wacky and you want to do it, do it. Don’t listen to the adults. The beauty of being a kid is that you can pursue wacky ideas without any worries. Who was your role model and/or mentor when you were a kid and how did that person influence you? My mother is an amazing role model. I’ve never seen someone who has so much energy and knows how to multitask the way my mom does. To this day, my mother is an inspiration. She’s passionate about life, she’s fearless, and she’s incredibly efficient at getting things done. Share a time that you failed and what you learned from it. I fail all the time. The challenge when someone asks you about failure is that it makes it sound like a single point in time. I fail weekly. When something doesn’t go right, the most important skill you learn is how to get back up and keep doing it. Successful people fail all the time, and they are just comfortable with it. The only way forward is to learn from your mistakes and to keep moving forward. Give one tip to a 10-year-old girl who is opening her first lemonade stand this weekend. Bring your passions and whatever is exciting to you! A lemonade stand doesn’t just have to be lemons and a stand. You can do all kinds of things. When my kids were little, they loved bubbles, so we had bubble machines going all over our lemonade stands. This created a lot of excitement around our stands because everyone was playing in bubbles. And we sold out within an hour. Children are just more creative than adults so there is a real opportunity to bring a lot of passion and creativity to very conventional ideas. 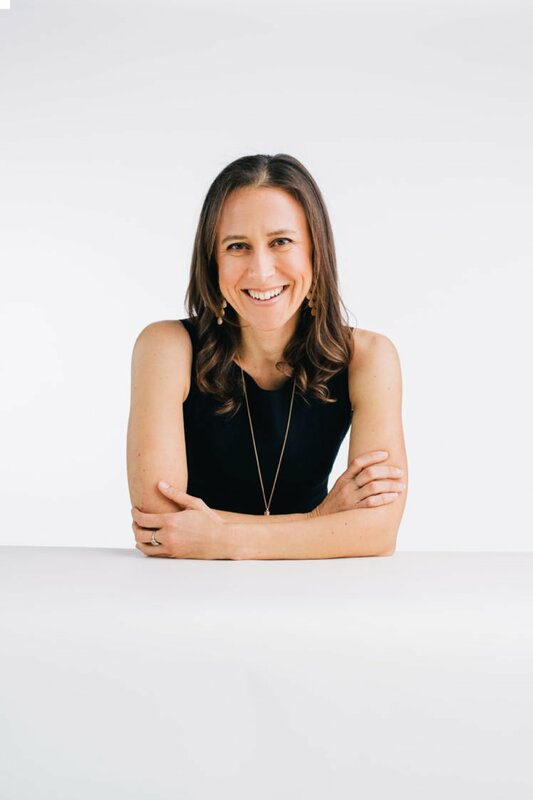 Did you enjoy our interview with Anne Wojcicki? Take a look at other interviews that we did with successful women entrepreneurs. Your concept is fantastic!!! Your sophisticated website, advice, and information, is fabulous!! Cant wait for the book!!! It reminded me of when our daughter Aviva, was 7 or 8, the record ‘Free to be you and me” was released. At that time I was considered WEIRD, and despised by other moms, because every child that came into the house had to hear the record 10,000 times accompanied by a little lecture from me about choosing their own path with the freedom to do so. You have created an extremely interesting focus, and elevated it to a very high level. Thanks so much, Susan. Sounds like you were quite the evangelist and ahead of your time. I look forward to having a similar impact on the girls of today. Want to know how The Startup Squad, well, started? Check out this note from founder, Brian Weisfeld.